Have you ever loved a product only to witness it be phased out? Cause I have and often I try to muster the courage and clamor for its return; but I always end up sitting back and accepting that I will/have lost another love. I try to see the silver lining in the irony that there is love waiting to be found, all I have to do is open myself up to it. 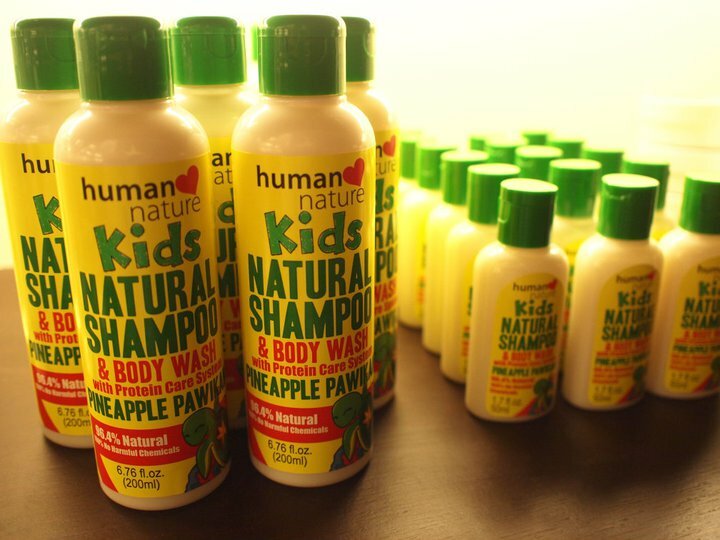 Same goes with the story of Human Heart Nature Kids Shampoo and Body Wash. I am a huge huge huge huge huge fan of the old Kid's Shampoo, in Banana scent. So huge of a fan that I actually am bewildered why people don't like it! Why do people like the watermelon scent more? Sometimes I feel sincerely hurt by the unfair judgment to my favorite body wash (I use it more as a body wash than a shampoo cause it dries my hair out)... sometimes I am bitter. Then the bitterness worsened when I found out it'd be phased out. Replaced. I was in a state of disbelief. Now that it's replaced, I feel obligated to learn to love its replacements: Pineapple Pawikan and Tangerine Tarsier. Fondly, at least, the Pawikan variant is wooing me at its best! I love how bright and colorful it is! I know I'm too old to consider myself as a market for baby/kid's products but like I said, ever since I had fallen in love with how wonderful the old variant of Human Heart Nature Kid's Shampoo and Body Wash is on my skin, I just can't go back to using non-kid wash right? So I''m happy that the new shampoo is a delight to shower with. Good thing I am loving Pineapple Pawikan else I'd definitely be missing my favorite banana wash! Like what any other normal human being would do (haha) I try to list the things I would not miss about my old shampoo to emphasize the things I'm loving about my new beau. -how thick my old aloe vera shampoo and body wash was. The old banana variant, since its base ingredient is the aloe juice, is rather thick and gooey. Not so easy to lather with, if I may say, so yes I will not miss that especially because the new kid's shampoo and body wash is fluid, very easy to create a lather with, and is actually not a challenge to get from the bottle. -the scent. (Still in denial) But I think I will not miss my banana-scented wash because the Pineapple scent of Pawikan shampoo and body wash is so addictive! -my old wash's packaging which is not as exciting as the new kid's shampoo and body wash with protein care system! Speaking of protein Care System, I lifted this from Human Heart Nature website to enlighten us all about the new shampoo and body wash' breakthrough technology. Our kid-friendly formula contains our unique Protein Care System with Coco Nectar, a rich source of amino acids and vitamins to nourish the hair and skin while effectively washing away dirt and grime. Avocado Oil and Aloe Vera also makes sure your child gets a moisturizing clean and none of the dryness. And because it's a 2-in-1 shampoo, it's mom-friendly too! Price starts at Php 44.75. Ah yes, moving on would be easy. Have you tried either Pineapple Pawikan and Tangerine Tarsier?